Where there is a need for control of three phase AC power, such as high-power motor control, a three phase relay provides a convenient solution, packaging up three solid state relays together into a single component. A 3 phase relay simplifies wiring and can significantly reduce time and labour costs, especially for mass production. 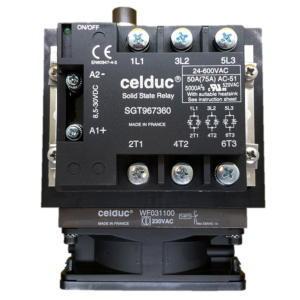 As well as SGT and SIT models from the standard Celduc SSR range, we can also design and build custom three phase relay assemblies to any specification for prototyping, product development or production – please talk to our team about your requirements. The SGT range of 3 phase relays is ideal for handling resistive AC loads (AC-51 or AC-53) and switching voltages up to 600 VAC. 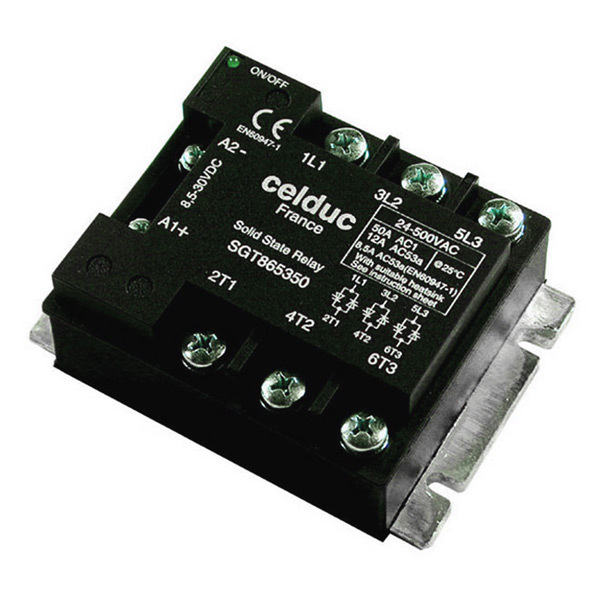 Features a low leakage current and built-in LED indicator. 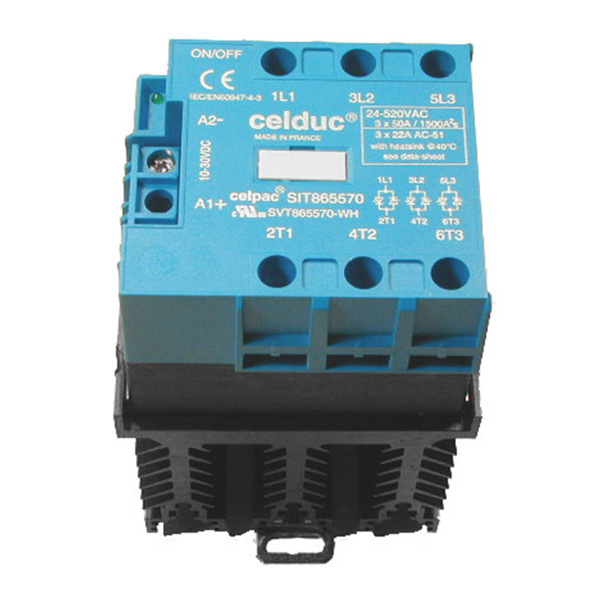 The SIT range of 3 phase contactors is designed for resistive AC loads (AC-51 or AC-53) or motor control applications. DIN rain mounted with built-in heatsink, LED indicator and RC/VDR protection. We can design and build customised assemblies to match the required load and ambient temperature for your application. Please contact our team of experts to discuss your requirements.